It was 1953 and an elderly Polish woman was settling into her seat on a train bound for Katowice. She had stowed her belongings and set out her lunch, including a family heirloom - a salt shaker - on the table. Just before the train was to depart she heard a startling announcement. This train wasn’t going to Katowice, after all; it was headed for a frightful sounding place called 'Stalinogród.' Frantically she gathered her things in her arms and rushed to get off the train. In her haste she fell and hit her head and broke the treasured shaker. Taken to the hospital with a bad concussion, she was revived then questioned about her sudden departure from the carriage. She explained her mishap to the doctor: She had only wanted to go to Katowice, not Russia. 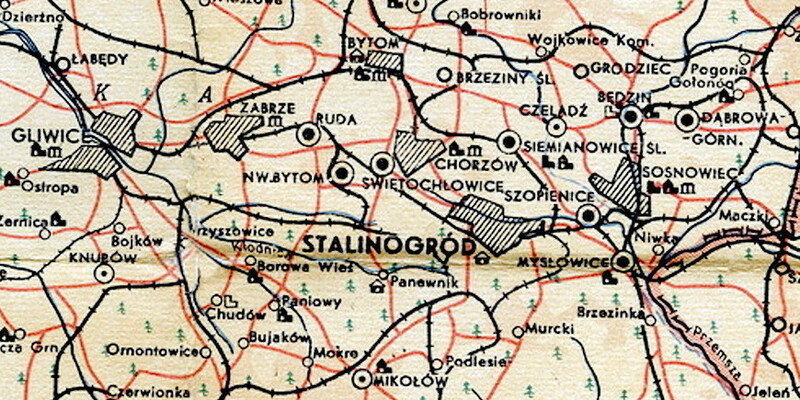 The doctor smiled in seeing her mistake, then replied that the woman had been on the correct train, but that Katowice now had a new name, imposed by Moscow: Stalinogród. That story from the 2009 collection “Train to Stalinogród & Other Stories” by Andrzej Kozioł, reveals much about life in the early days of the People’s Republic of Poland (or PRL using the Polish acronym). It demonstrates the confusion and chaos of Poland’s monumental post-World War II change from fighting Nazis to coping with Communists. At least a dozen more cities in other Soviet satellites received the “gift” of a name change, including 'Stalinstadt,' East Germany (now Eisenhüttenstadt near Brandenburg, Germany) and plainly 'Stalin,' Bulgaria (now Varna). After the Red Army took over Katowice in 1945 following the retreat of the Germans, a new Communist government took over. They determined the city needed more of everything – more space, bigger buildings and larger factories. To be sure in 1953, the year of Joseph Stalin’s death, the newly renamed Stalinogród benefited from the internal dynamics of the Polish and Soviet Communist parties, likely gaining support for public works and other projects to honour the glory of the once fearsome leader. The famous Spodek arena was conceived in 1955, the result of a design competition for a large exhibition space. But Stalinogród was a short-lived moment in the city’s history. 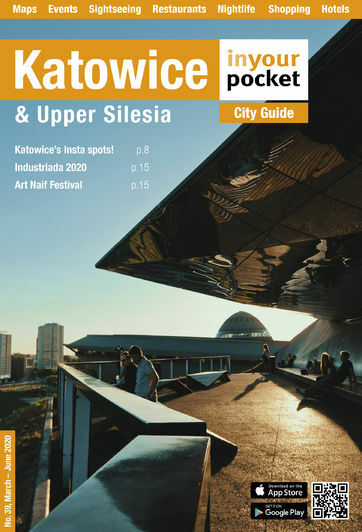 Under an intense public backlash and with the memory of Stalin’s death fading and the Party’s attempt to distance itself from cults of personality, Polish authorities changed the name back to Katowice after just three long years. Today the city has mostly removed traces of its oppressive Communist legacy and is now focused on greater integration with Europe and the West. But the heavy industrialisation of the region owes much to the Soviet Union and though the name may have long gone, Stalinisation left its mark.